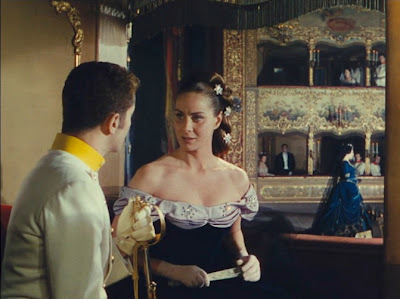 In 1954, after three films with strong ties to neorealism, Luchino Visconti turned his idiosyncratic eye to a very different kind of movie - the historical epic. 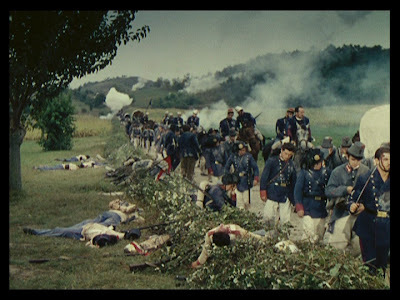 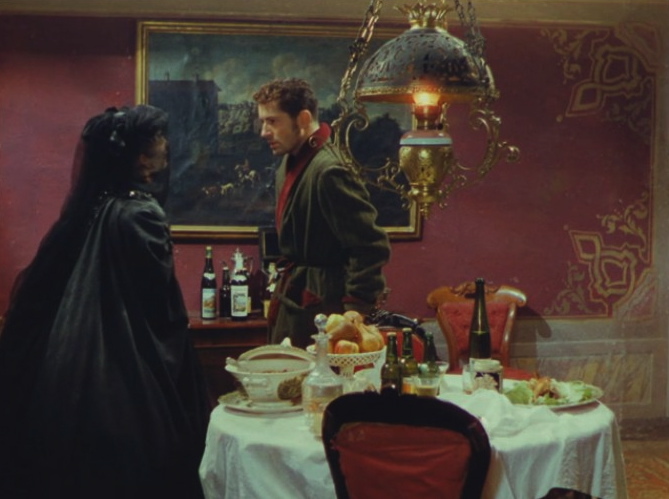 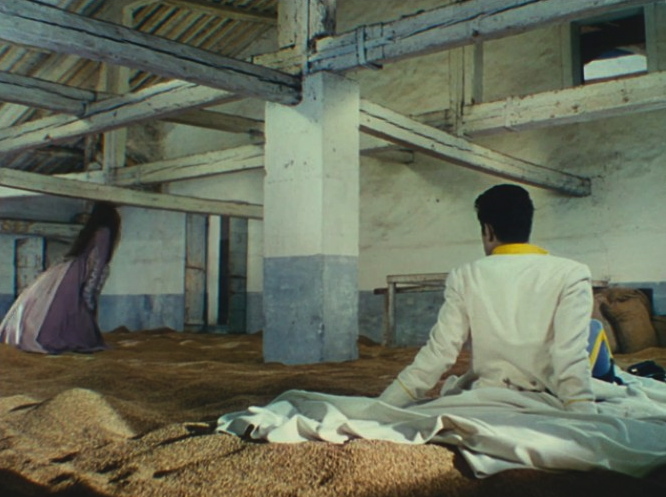 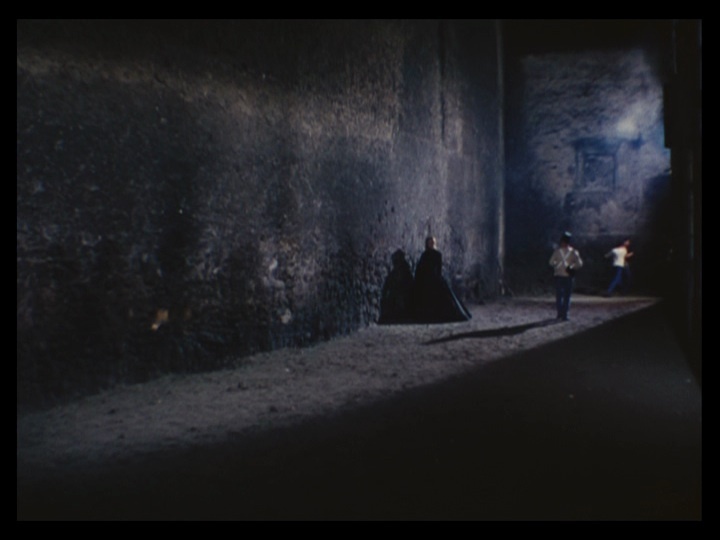 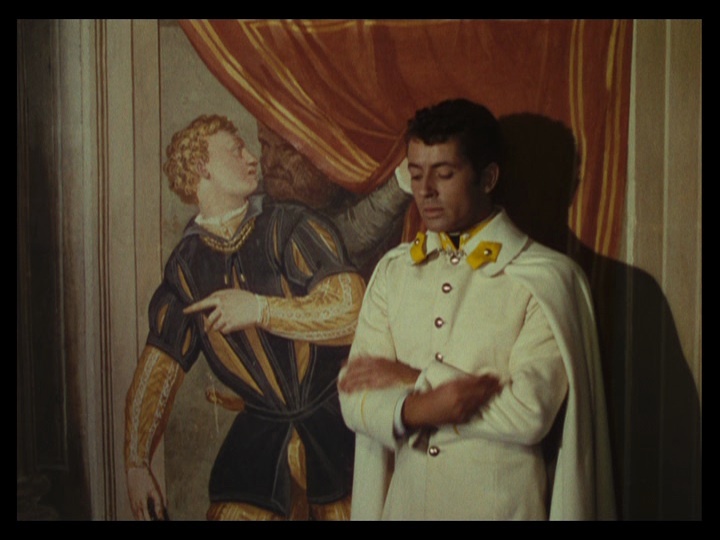 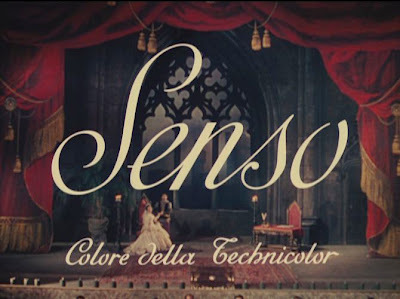 Senso, his first color film, unfurls with grand gestures and a painter’s eye for color and composition. 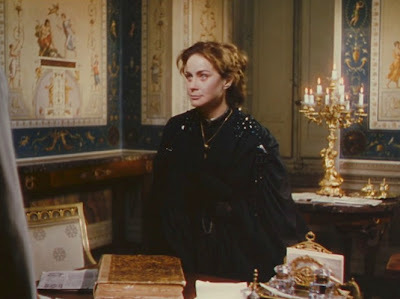 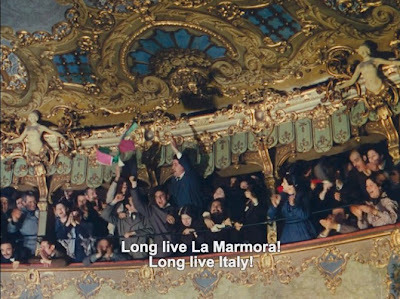 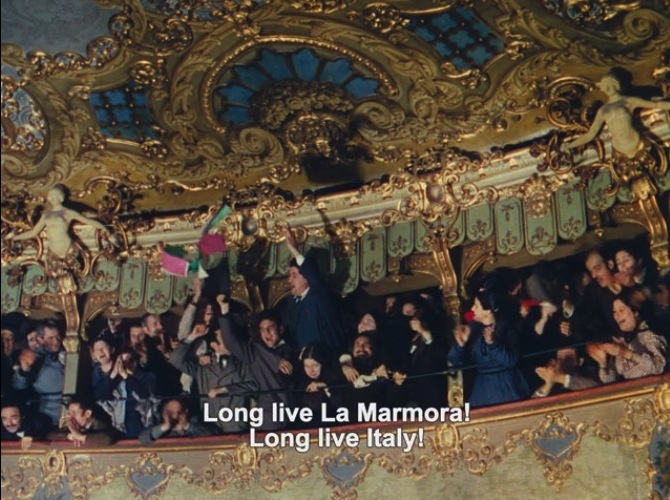 Like the turbulent classical period of Italy’s history he was depicting (the 1860s), Visconti directs, even conducts, with an operatic flair and a romantic lilt. 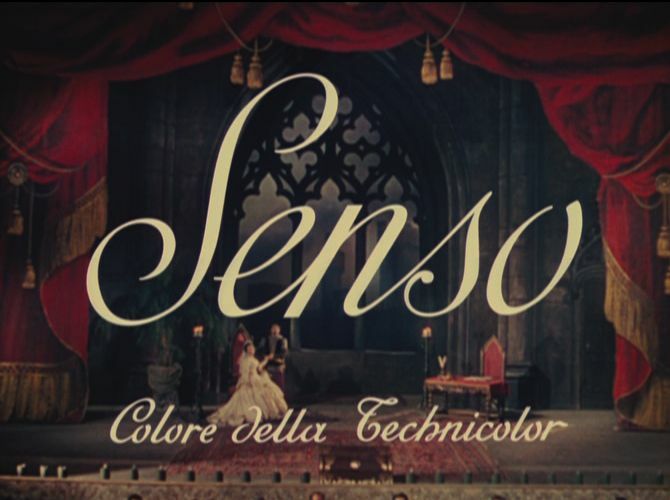 Senso is history filtered through the amber hued tones of Italian Technicolor and the narrow lens of a single, yet influential, love affair. Senso’s overwhelming romanticism and melodramatic use of visuals demands a reaction that utilizes the same elements - so in lieu of a traditional essay, a visual montage with annotations is in order. 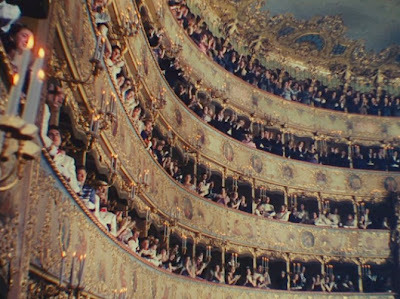 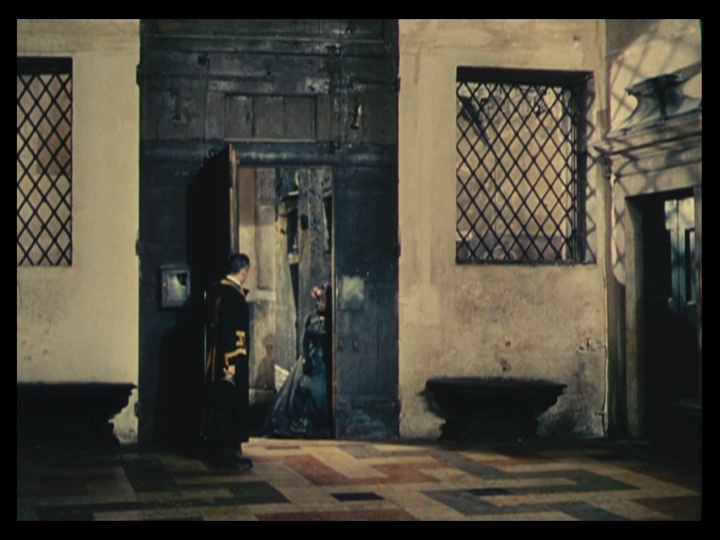 The film opens at the famous opera house Le Fenice in Venice - the muted golds and browns and rustic reds define the formal, aristocratic world that the Countess Livia Serpieri (Alida Valli) inhabits. 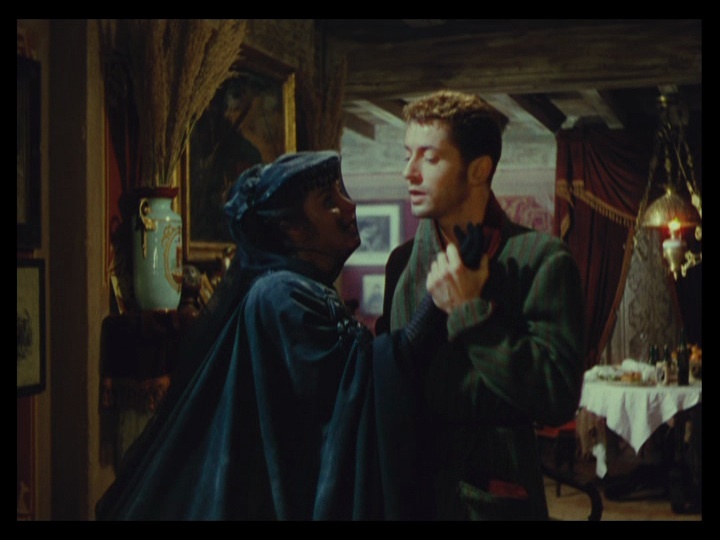 After rejecting the challenge of a duel from Livia’s cousin, Austrian Lieutenant Franz Mahler (Farley Granger) appears in her opera box, along with the first formal signifiers that will come to define their relationship. 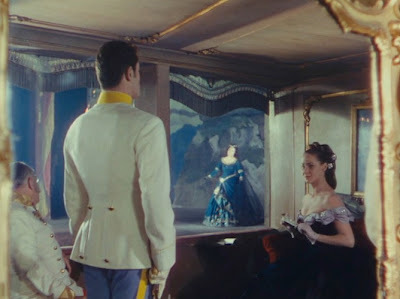 The blue dress of the performer and the blue pants of Mahler’s uniform are immediate stand-outs from the predominantly earthy hues seen thus far - they’re something new and exciting to Livia. 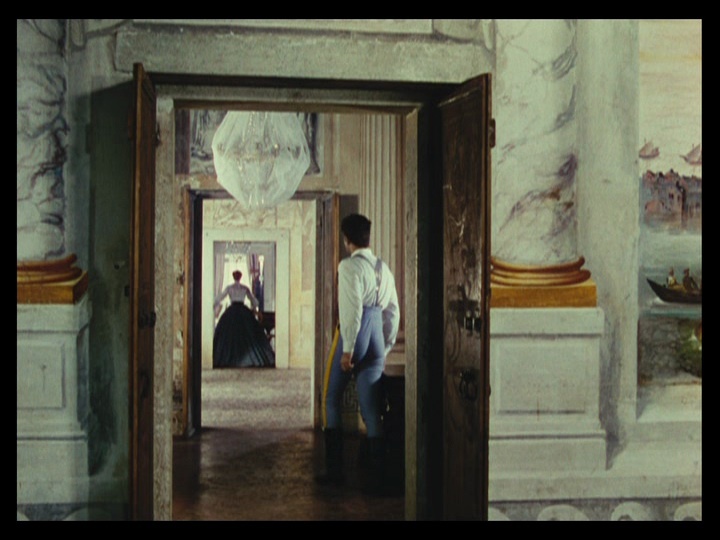 In fact, Mahler will never be seen without his eye-catching trousers until the very end of the film, when their absence belies the final tragic reversal of emotions. Not only does the color blue provide a visual cue and companion for the two lovers, it acts as a negative image of their passion. 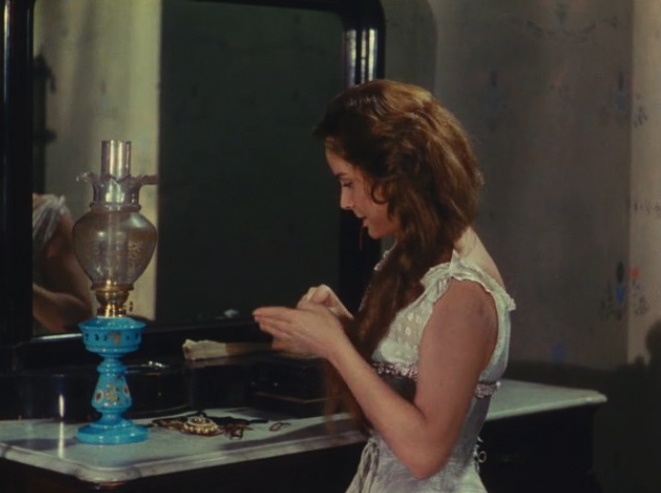 Traditionally, we associate deep red with intrigue and romance, but here there is only the cool, uncanny presence of an unearthly blue. It haunts each rendezvous as if to hold a mirror up to their relationship, revealing something cold and empty underneath that perhaps neither of them realize. 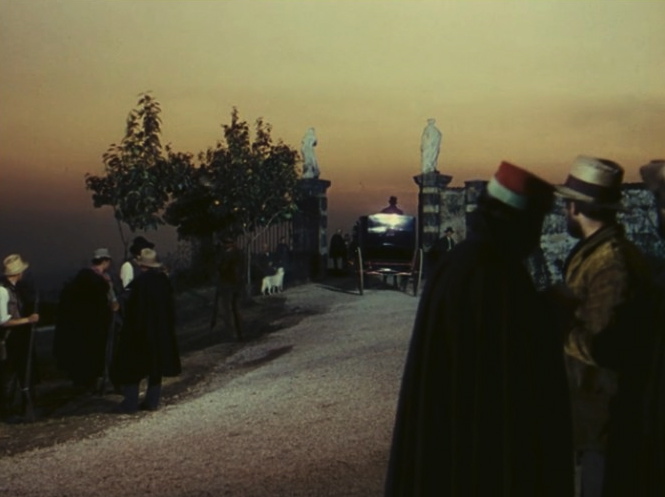 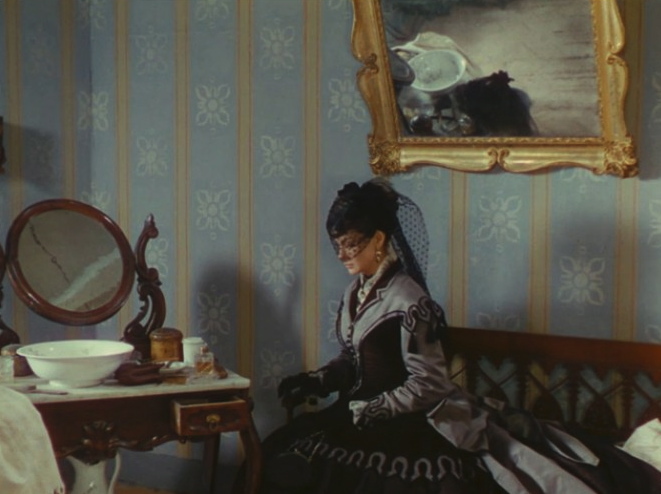 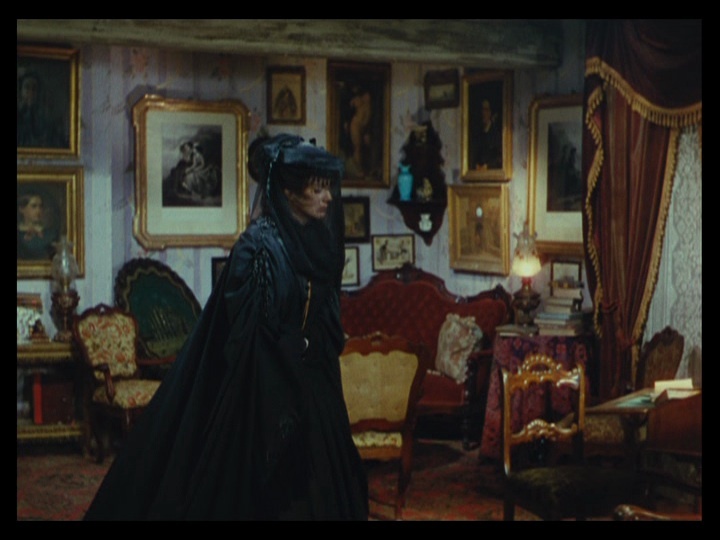 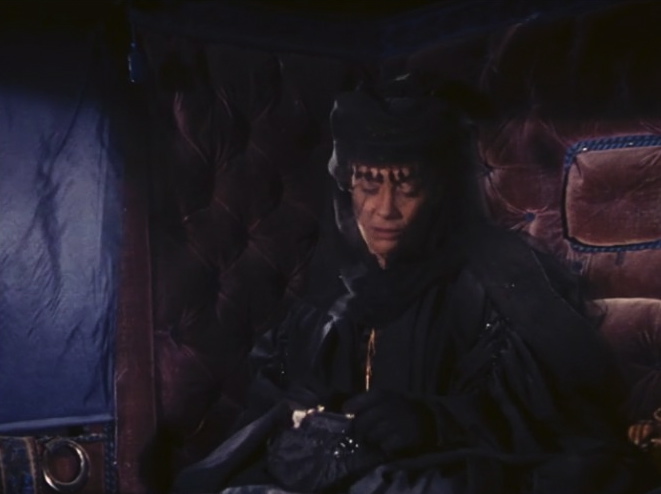 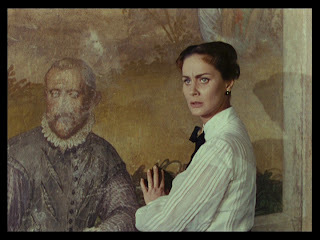 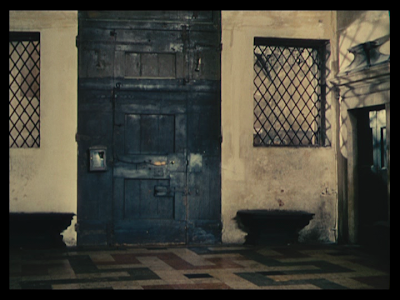 As her love for Mahler begins to dictate her life, forcing her to into increasingly precarious moral positions, Visconti’s mise en scène begins to reflect her journey down the path of no return. 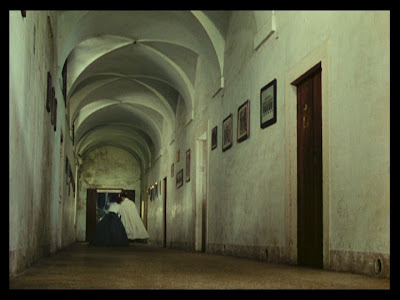 Compositions frequently emphasize receding halls and nested rooms, expanding deeper and deeper into the background, trapping Livia in a constantly unfolding maze from which there is no escape. After Mahler leaves the villa with the Italian Partisans’ money, Livia dresses as if she is in mourning - an unconscious premonition of death. 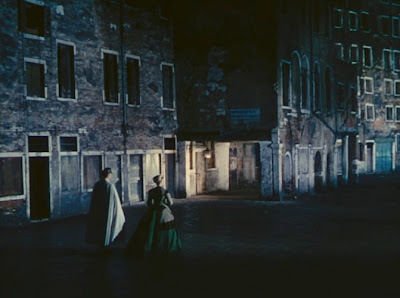 When she travels to be with Mahler, despite a letter instructing her not to, she meets only betrayal and heartbreak (she should have known tragedy was in store, as he is residing in fair Verona). She meets a drunken and disgraced Mahler in his apartment with a prostitute. 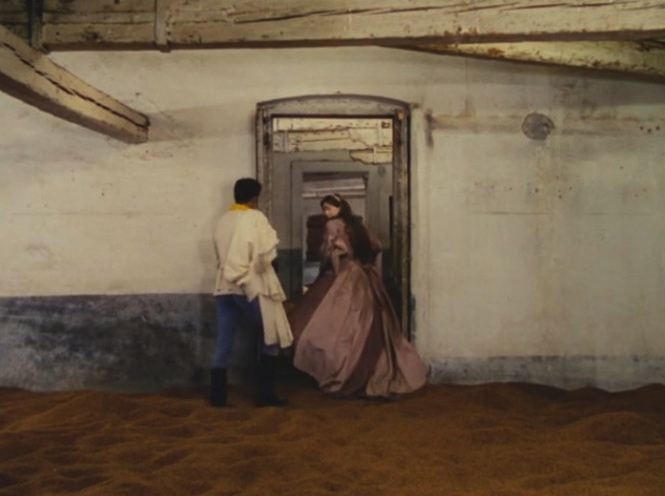 He mocks her for believing that he was anything other than a self-loathing opportunist, using her to escape his duty. 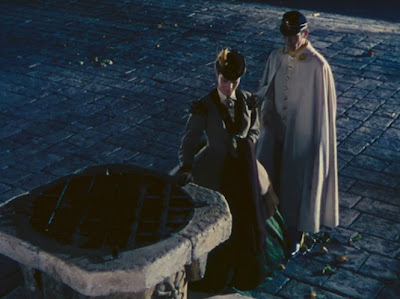 He is also without his uniform, the magnetism that she felt for him when he was an officer is gone, replaced by a muted green robe. 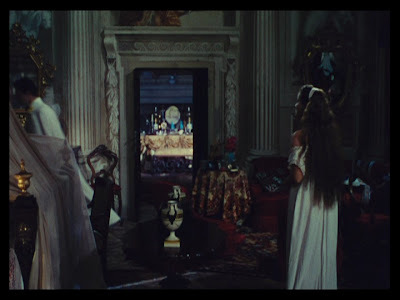 One last glimpse of that spectral blue as the last remnant of her love is destroyed. 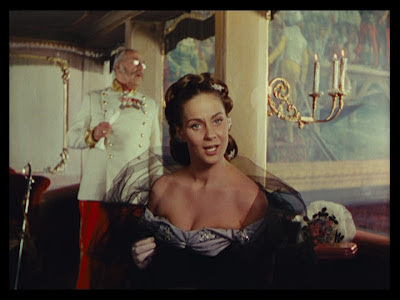 Faced with utter disgrace, she turns Mahler in to his superior officer. Then, the inevitable mechanics of betrayal fulfilled, she is absorbed into the darkness of the night, leaving Mahler to his fate. 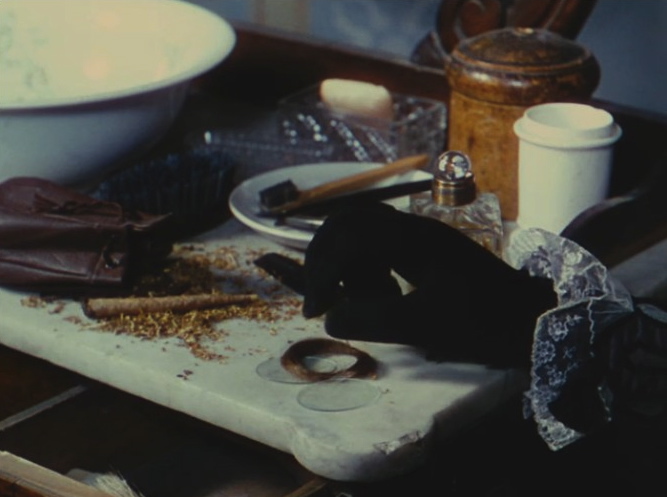 Not only does blue signify Livia and Franz’s union, it’s absence just as effectively signifies her doubts, as in her discovery of the abandoned locket with her lock of hair. This was a great sight gag, potentially commenting on the excessive (and ridiculous) scale with which the aristocracy lived. 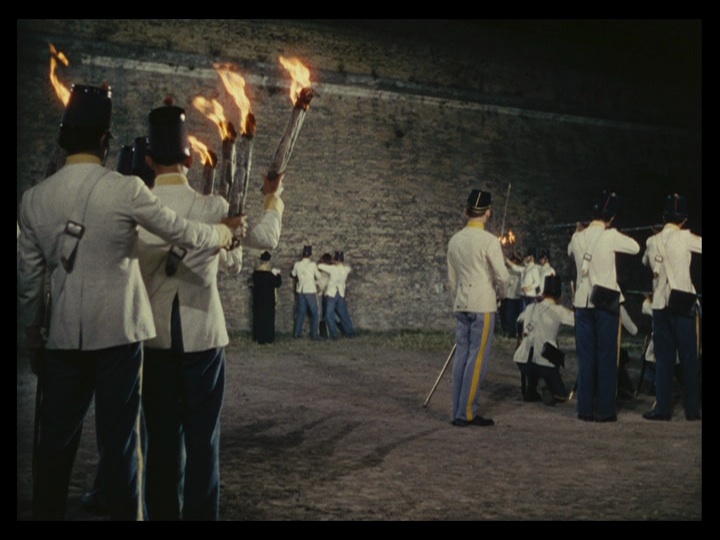 Speaking of premonitions of death - the scattered bodies of Austrians along the road anticipate Mahler’s death, especially with their bright blue uniforms.